The weather in Brazil varies considerably from tropical in the north to temperate in the regions south of the Tropic of Capricorn. It tends to be hot and dry in the arid interior of the country, changing to humid in the tropical rainforests of the Amazon. 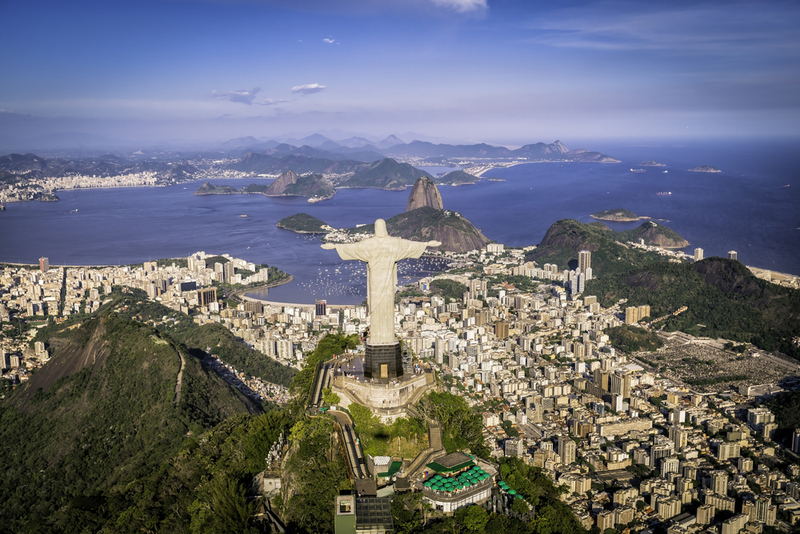 There are in fact 5 sub-types of climate in Brazil – equatorial, semi-arid, highland tropical, and subtropical. Summer in Brazil runs from December to March and winter from June to September. The average annual temperature decreases steadily from north to south of the country. From Recife south to Rio de Janeiro, the average coastal temperatures are 23-27°C with average temperatures of 18-21°C in the highlands. South of Rio, annual temperatures average 17-19°C. 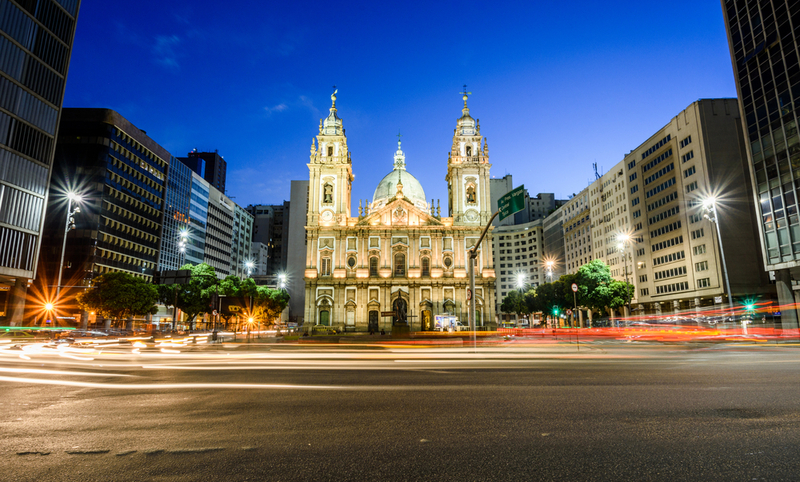 Even during the winter months, the climate across most of Brazil is moderate with temperatures in major cities such as Rio de Janeiro, Curitiba and Sao Paulo averaging 13-18°C (55-65°F). Further south, around São Paulo and south eastern Brazil, winter temperatures can fall as low as 5° to 8°C with light snowfall occurring in the southern states of Santa Catarina and Rio Grande do Sul. Summer at The beach in Brazil. Photo Credit: Shutterstock. 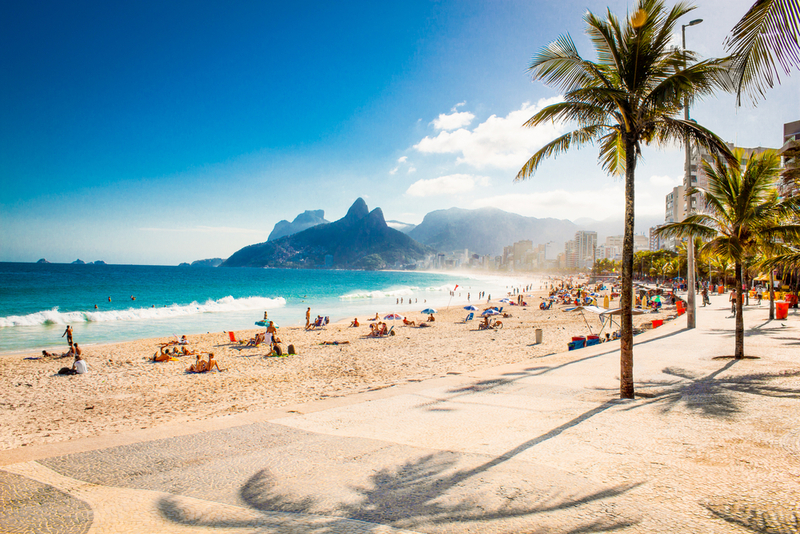 In the summer months the weather is hot and extremely humid everywhere south of Rio and along the coastline north of Rio, with temperatures in the high 30’s to low 40’s (°C). 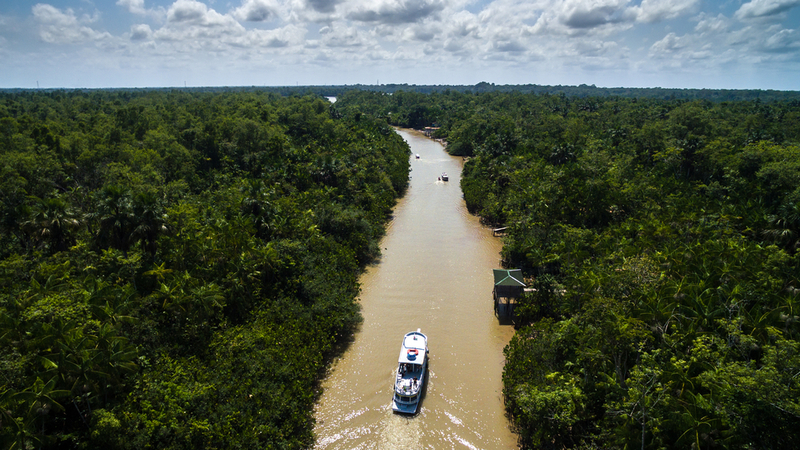 In the Amazon, temperatures average 28-30°C year round. Rainfall varies from one end of the country to the other although the rainy season generally occurs at the end of the summer months. The Pantanal and the Amazon Basin have the most pronounced wet seasons between November and May. Rio has what is called a tropical savannah climate. The summer months of December to March are hot, with February generally being the hottest month. In the winter months, temperatures hover around 20°C, occasionally dipping to around 15°C. Most rainfall is from January to April, with April seeing the most rain. Afternoon rains are fairly common during the summer months. The climate of Salvador, in the north east of Brazil is a tropical rainforest climate, with an average of 60mm rain falling every month. September is the driest month and April to June the wettest. Temperatures tend to remain pretty constant all year. 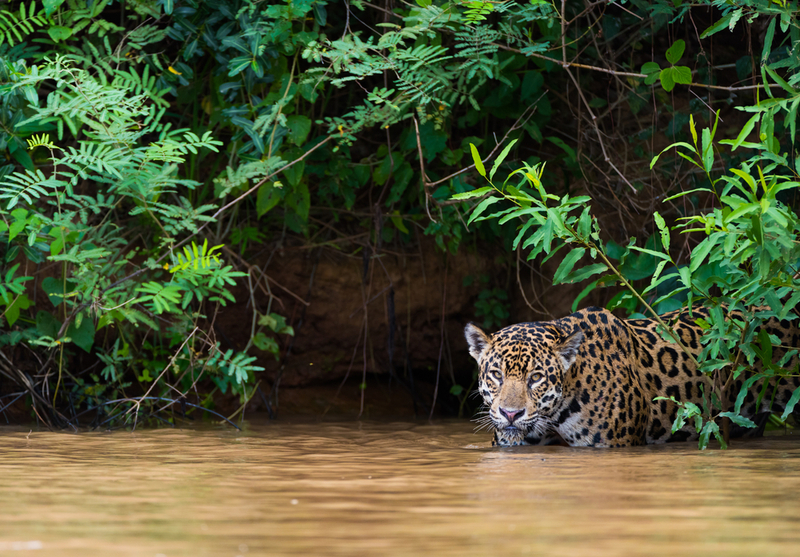 In the Pantanal, temperatures average 24°C, with an annual rainfall of 1,000 to 1,250 mm. But despite the relatively constant average temperature, it can reach over 40°C, and temperatures as low as -1°C have been recorded. This distinct temperature drop is known as a ‘friagem’ and is caused by a north to south shift in air currents. 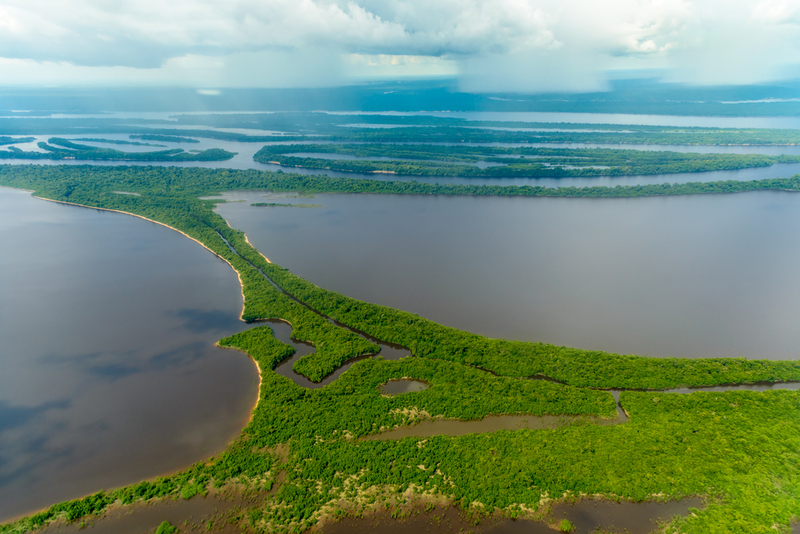 Hot and humid throughout the year, the Amazon has a tropical or equatorial climate. Rainfall generally exceeds 2,000mm a year, and is sometimes as high as 3,000mm in the western part. 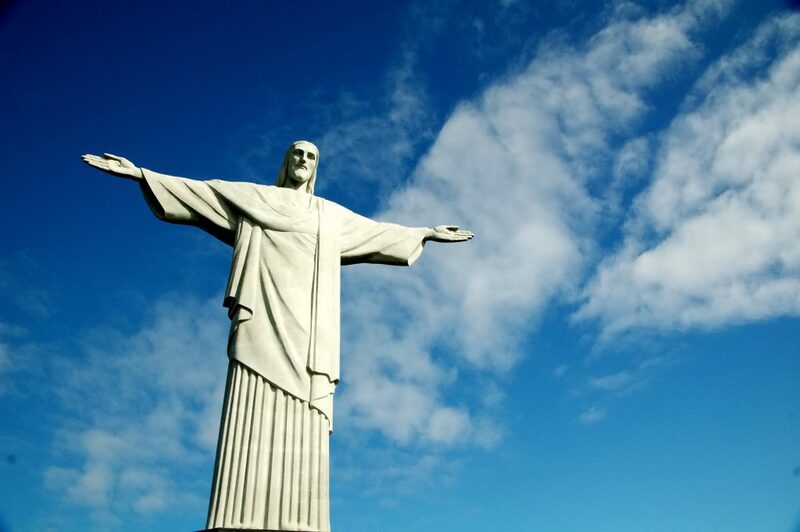 Check out all the unforgettable Brazil tours that we offer,, or let us create a bespoke itinerary for your next South America Adventure. After all this is what we at Chimu Adventures do best. 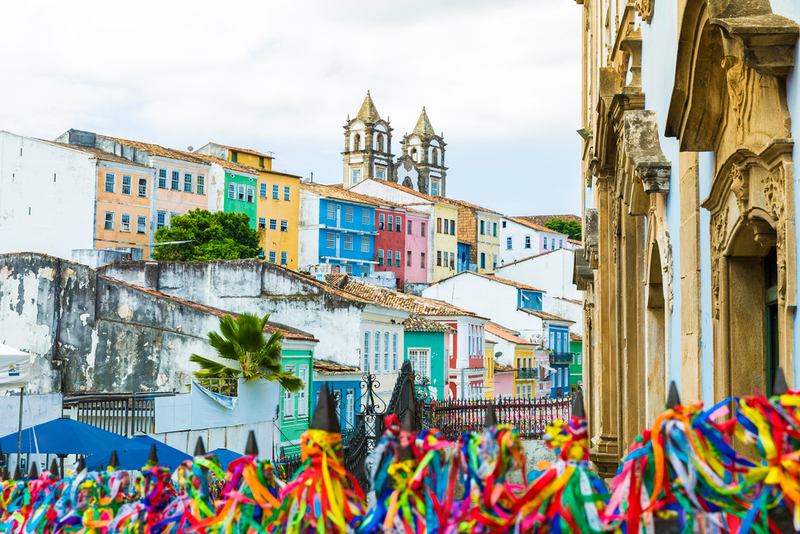 Feel the spray of the mighty Iguazu Falls, experience the vibrant city of Rio and sail around the beautiful bay of Paraty on this 10-day adventure.